Watch Travel for Kids video, Paris in spring. 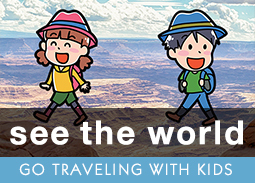 See the World is Travel for Kids blog. Posts about fun places to go with kids worldwide, children's books, family hotels, fun food, seasonal events. 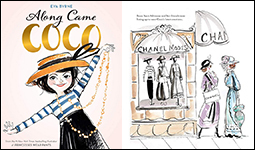 Read our latest post: "Alcatraz Island: Tips for visiting The Rock with kids"
You'll find many children's books for different destinations on Travel for Kids. Also, each month we choose a "book for everywhere," books that reach beyond borders. Why two websites - as with kids, one size does not fit all.